A big thanks goes out to the guys at PC Format, who featured Blazin’ Aces on this months cover disc. We are super psyched to have the game distributed on such a great mag. If you still haven’t played Blazin’ Aces yet, you can download it here. 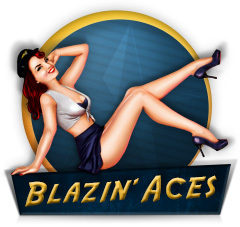 Blazin’ Aces has finally been released! Download it now! Well this is it, Red Dot Lab finally has its website up. Blazin’ Aces will be launching this weekend, keep posted via our twitter to keep updated.